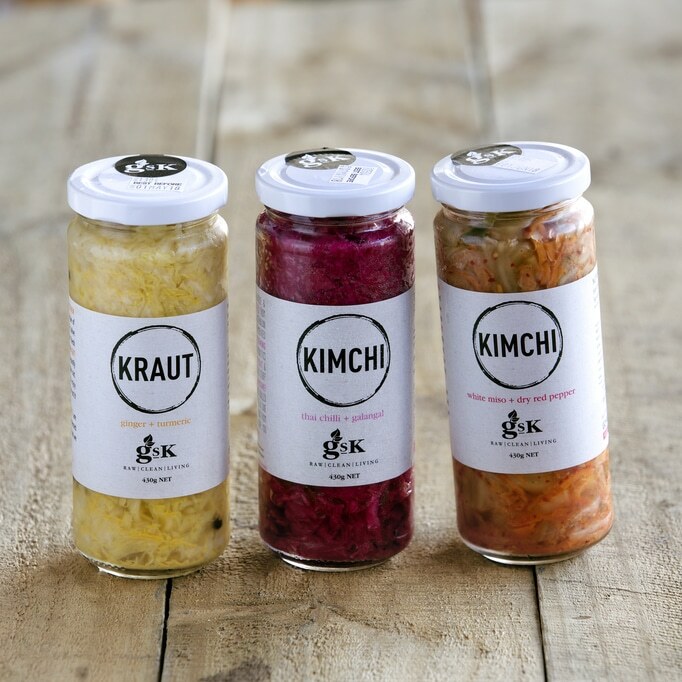 Green St Kitchen kimchi and krauts are fermented the wild way, meaning there is no starter culture used to initiate the fermentation process. The ingredients are exactly what is listed on the side of the jar – cabbage, salt, flavoursome ingredients and time. Raw fermented kimchi is loaded with vitamins, and it’s biggest benefit is the “living healthy bacteria” called lactobacilli that are created during the fermentation process. Try some today- your gut will thank you for it.